played fitba for his school team and Harmony Row Boys Club. taken c1959 when Frankie was 9/10 yrs old. .Any names or info on this photo would be appreciated. 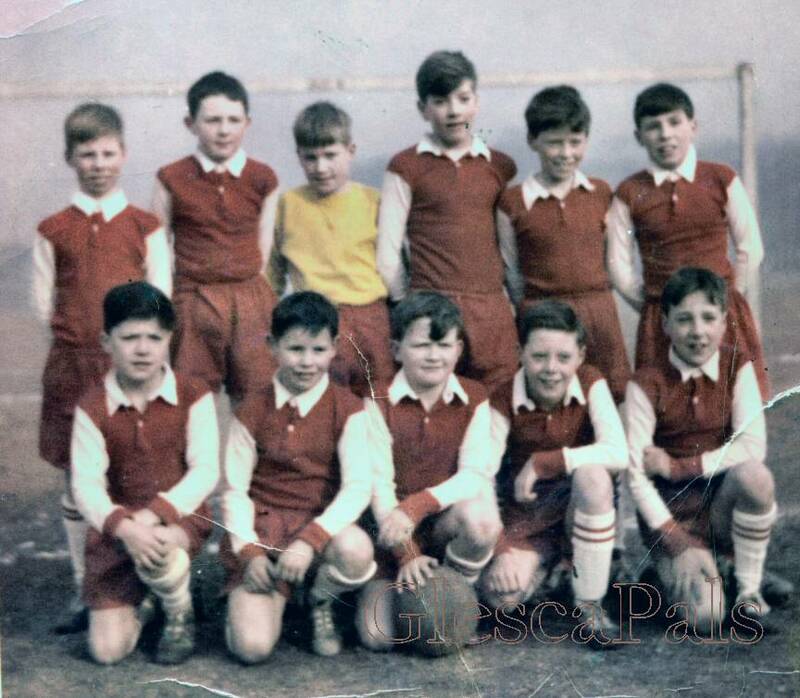 front row 1francie doyle 2 mick mc kinnon 3 freddie carton, sent by wife of peter conroy"
Ref team photo of Sacred Heart School, the goalkeeper is Brendan Boyle. He was in my class but we were a year younger and made up the team the following year. Francie Doyle also played the following year. Hope this helps a bit.